Artistic Director Ib Anderson gives his insight on the most iconic fairy tale ballet of all time, The Sleeping Beauty, which you can see October 25 – 28 at Symphony Hall in downtown Phoenix! You consider The Sleeping Beauty one of the most important ballets of all time. Could you elaborate? The Sleeping Beauty premiered in 1890 at the Imperial Ballet. I hate to say it is the best ballet…but it truly is. Of course, The Nutcracker is good, Swan Lake is good, but The Sleeping Beauty is the ultimate classical ballet to me. I think many would agree. You had Petipa and Tchaikovsky together in the same room – the composer and the choreographer. At the time, this was traditionally how it was done. They discussed it together, the vision the story, the music. They worked on elements together. There is music in the score that is absolutely glorious! Parts of it make your heart burst – it is so emotional. Tchaikovsky wore his heart on his sleeve and that is very evident here in this work. 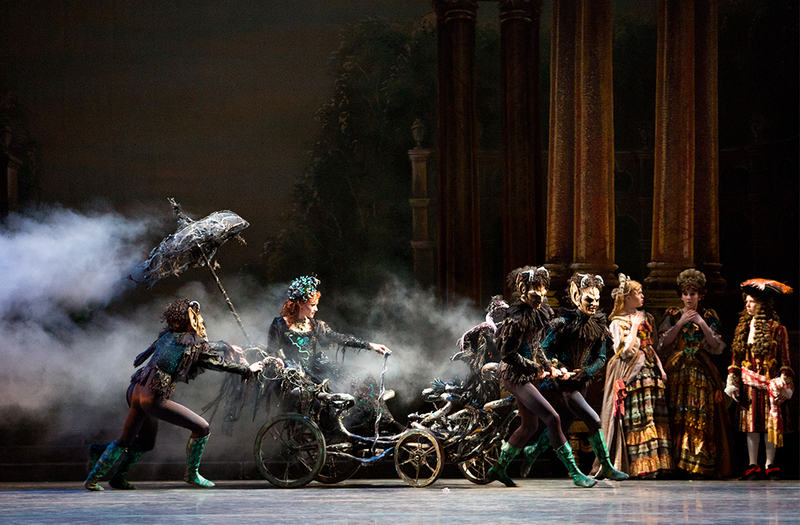 Ballet Arizona’s ‘The Sleeping Beauty.’ Choreography by Ib Andersen. Photo by Alexander Iziliaev. Who has influenced your version? I am following the original ballet as closely as possible. In the 1930’s, the Royal Ballet in London staged The Sleeping Beauty form notations from Vladimir Stepanov. Stepanov worked closely with Petipa and wrote down all of the elements of his original choreography. I would say the Royal Ballet is as close to the original as it gets, even closer than what they do in Russia now. We rented our costumes and sets from Boston Ballet, but they were originally from the Royal Ballet. In terms of choreography, the only elements that are truly mine are “The Hunt” and the “Garland Waltz,” because neither of those really exist. But the important parts of the original choreography I have kept. It is a complicated puzzle because you need to put it together in a way that makes sense. It is a balance of telling the story, being economical, and trying not to bore people! We have cut certain things because if you perform the whole thing it is almost four hours long with three intermissions. What excites you most about The Sleeping Beauty? I think The Sleeping Beauty is very pure – from the music to the choreography, to the story and all that it stands for. It is the text book for what classical ballet should be. It is a very naked ballet in the sense that you cannot hide behind anything. You need to hit the high C and it needs to be very clear with no bravado. My favorite part is most of the first act actually. The prologue, the fairy’s variations, but especially Rose Adagio. Rose Adagio is very simple but it’s just so amazing. It’s as good as it gets. That first act is probably the most demanding for any female dancer. I feel like it remains relevant because as a company you measure yourself against this ballet by how well you can perform it. You will definitely know where you stand. Click here to get your tickets to The Sleeping Beauty, the ultimate classical ballet by Artistic Director Ib Andersen. The grandeur of classical Ballet! Can’t wait!